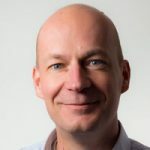 Arjan Woertman is the Chairman of the DASA Editorial Board. The editorial board is responsible for the portfolio strategy for DASA, and manages updates and translations to existing qualification programs. Arjan operates as the COO for ITpreneurs, one of the DASA Authorized Courseware Partners.